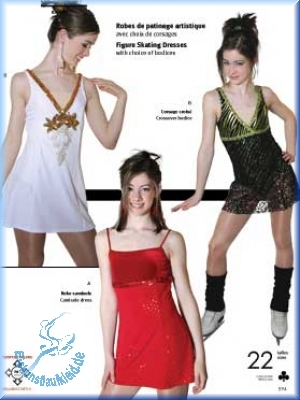 Empire waist princess line dresses with attached leotard. The skirt ist slightly longer in the back. View A has a fully lined bodice with spaghetti straps. 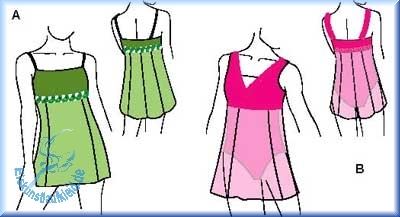 View B has a cross-over V neckline bodice and wide shoulder straps.